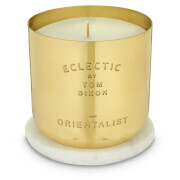 The Tom Dixon Orientalist Essentials Gift Set is a luxurious fragranced trio to soothe the senses and the skin. Beautifully presented, the limited edition set includes an Orientalist candle, an Orientalist scented Hand Wash and Hand Balm. Part of the opulent ‘Eclectic’ range, the Orientalist Candle captures the evocative scents of Indian weddings and Chinese herbal markets. With fragrance notes of Cassis and Violet Leaves, Rose, Magnolia, Geranium, Clove and Cinnamon on a base of Patchouli, Amber and Musk, the luxury candle is made with 50% soy and 50% paraffin wax to offer a rich, lasting fragrance and a burn time of 60 hours. 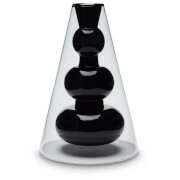 Housed in a hand-spun, embossed brass vessel, the candle is completed with a solid marble lid. Cleanse your hands with the sumptuous Orientalist hand wash, formulated with rosehip oil, turmeric, ginger and fennel. Enriched with antioxidants, the hydrating liquid soap cleanses, purifies and soothes the skin, leaving them beautifully scented with the Orientalist fragrance. Enriched with rosehip oil, turmeric, ginger and fennel, the moisturising balm is rich in antioxidants and formulated to deeply hydrate and soothe the skin. 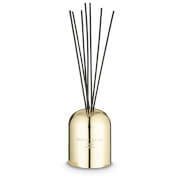 Fragranced with Tom Dixon’s Orientalist Scent.